I was at Songshan Cultural and Creative Park 松山文創園區 for a playdate with my artist friend and her children. Songshan Cultural and Creative Park had been a tobacco plant since the Japanese colonial days in 1937. In 2001, the Taiwanese government designated the location as a cultural heritage site. In 2011, it was transformed into a creative hub for local artists to exhibit their work to the public. 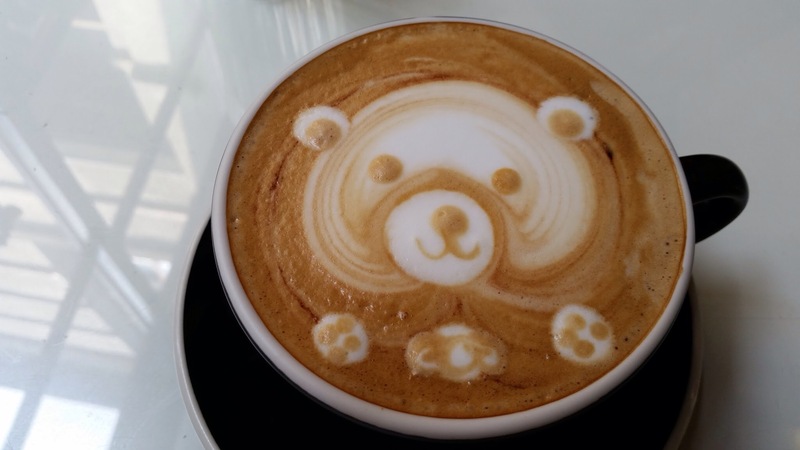 We walked around the center visiting the exhibits, got hungry and stopped at Cafe Sole for a snack and breakfast. Afterwards, we got freshly squeezed watermelon juice. Nothing can compare to delicious watermelon juice on a hot, scorching tropical summer day. It was a perfect day with culture, friendship, fine coffee and tea. Cafe Sole is a great stopping place for tired feet. Songshan Cultural and Creative Park should be on the list for international visitors. This is the RaoHe Street night market 饒河街夜市 beef noodle soup experience. We went in because the place was packed with people. It was one of the few places that had a store front, running fan, cold bottled water for the foreigners, and AC. 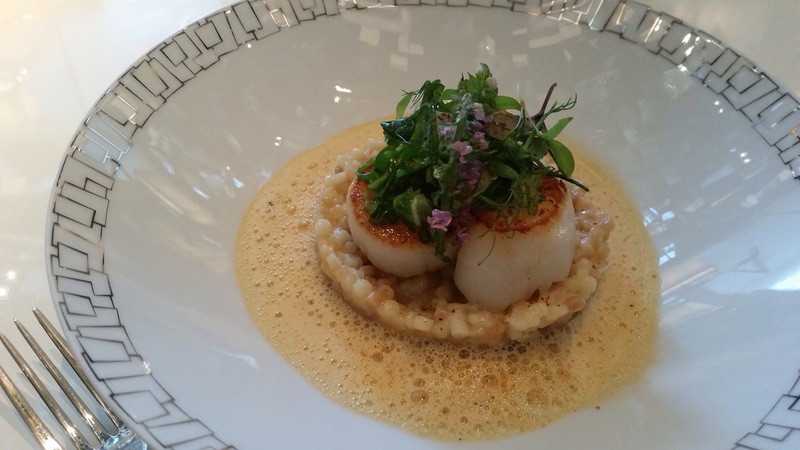 As a rule of thumb, a restaurant overflowed with diners is probably a good bet. I was wrong. 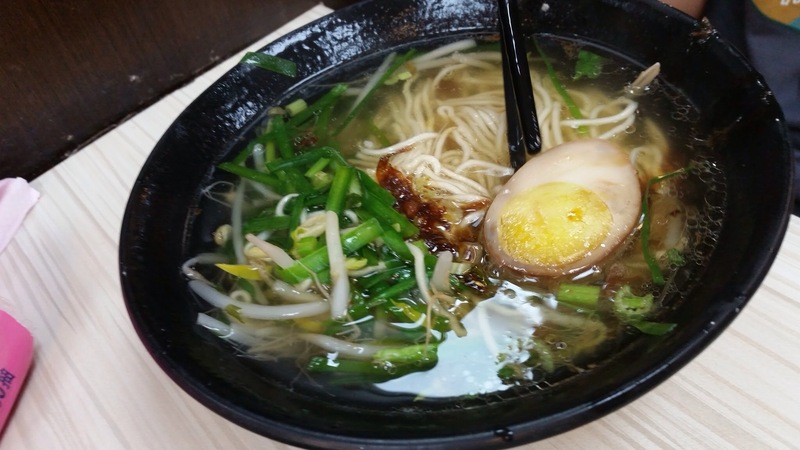 I think this was the worst meal I had in Taiwan this summer. See the menu behind the man who was staring at the camera? The night market noodle soups are in general about $1 to $1.5 USD cheaper than those in a slightly more up-scale restaurant. 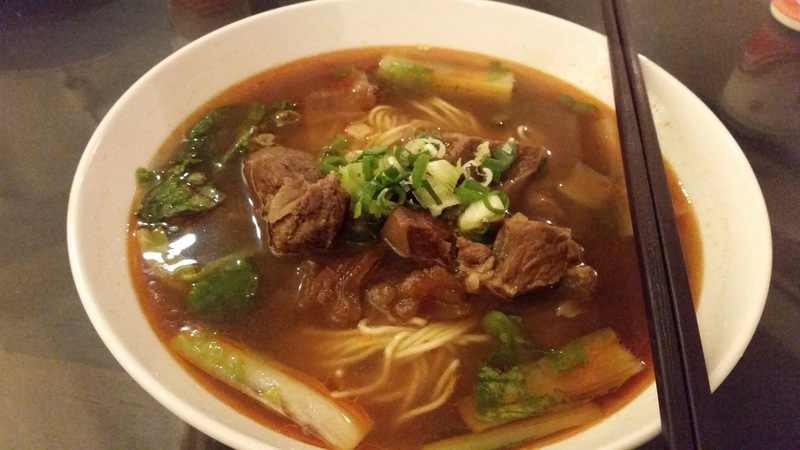 Read the other beef noodle post, click here. 紅油炒手 Dumplings in hot chili sauce, a famous Sichuan dish. This was good. The sauce on the freshly cooked dumplings that were still tender and warm made the dish. The green veggies balanced out the spiciness. 紅燒半筋半肉Braised half tendon and half beef noodle soup. It was tasteless. I don’t know how they stay in business. 牛筋和海帶, Beef tendon/kelp/tofu. Meh and blah. We mixed these into other dishes and added a lot more sauce to make them ok to swallow. 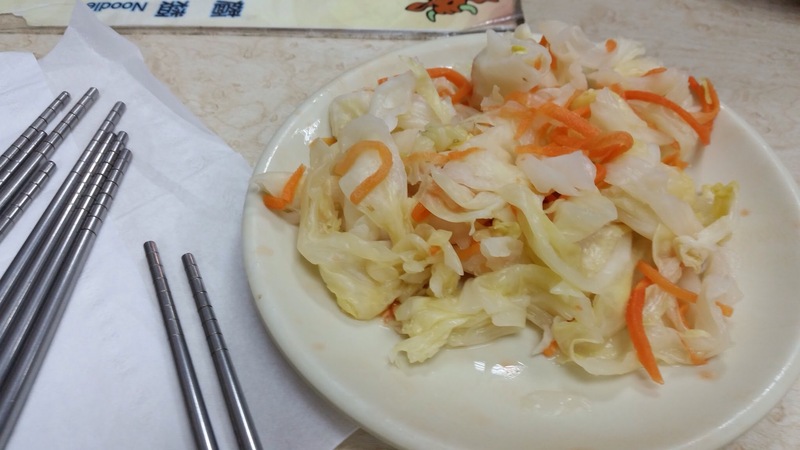 泡菜, Taiwanese pickled vegetables. Best dish of the night. The restaurant was busy because they had a store front, tables and chairs, and efficient management of the diners. The wait staff is extremely efficient to usher you in and out. Because of their efficiency, they are able to let you sit down in an air-conditioned room, resting your sore feet from walking the night market. This is the reason why the restaurant was busy. This is how they stay in business by working on the peripherals and not the main product. It absolutely had nothing to do with the quality of their food! 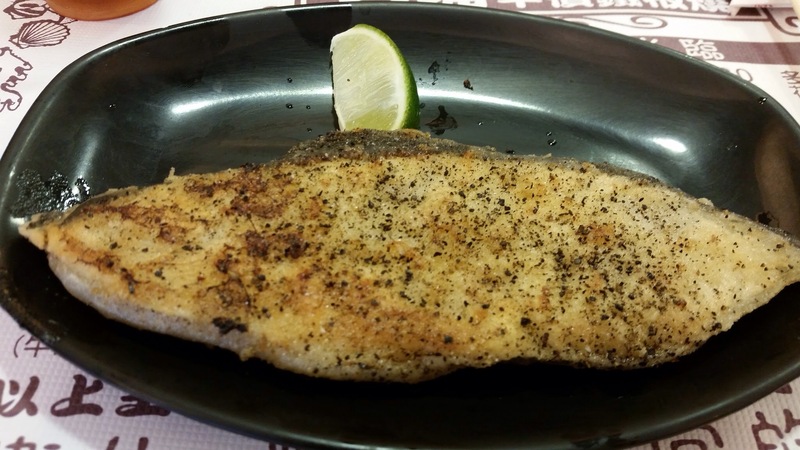 I feel badly writing about a Taiwanese restaurant that does not have an English name nor a site in English for my readers since majority of my readers hail from the US. The restaurant name, 十三香精緻麵食麻辣火鍋牛肉麵, is a long description of what they served; it means 13 flavors fine noodles, mala hot-pot beef noodle soup. Yeah, not terribly marketing friendly nor is it easy to recall. Mala is a description for level of spiciness; the literal translation is numb and spicy. The sauce originated from the Sichuan region of China. 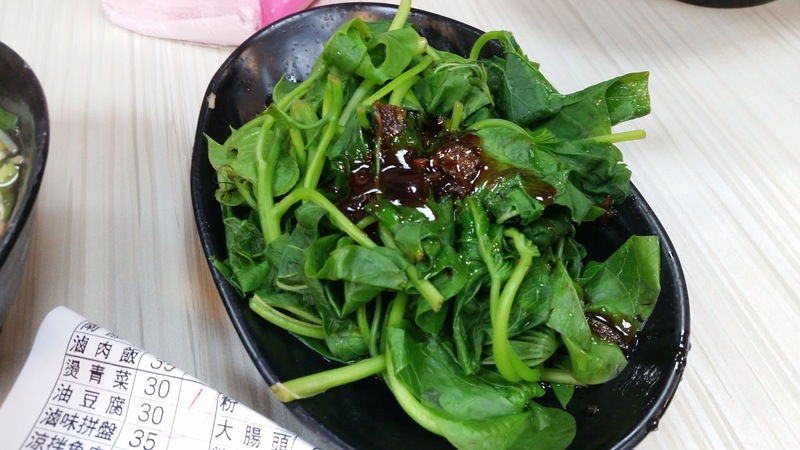 十三香精緻麵食麻辣火鍋牛肉麵, 13 Flavors, is located in Taipei, on Heping East Road, between the National Taipei University of Education and my summer residence. My daughter and I walked by this restaurant twice a day for 20 days this Summer. Below is the evidence of sampling two of their finest noodle soup dishes. This is the mala beef noodle soup with half beef cubes and half tendons麻辣半筋半肉麵. 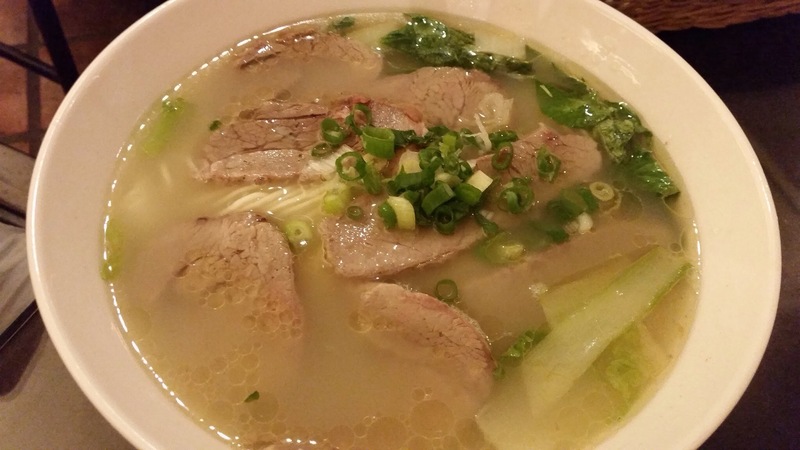 I grew up with beef noodle soup. 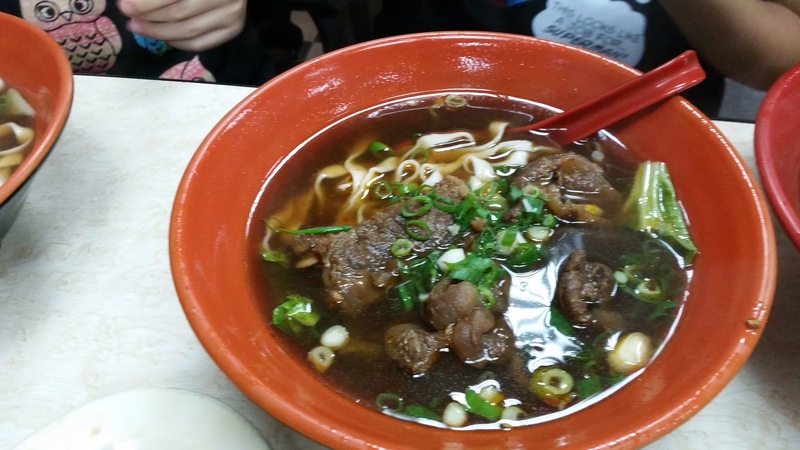 One of the few fond memories I have with my father is going to a neighborhood beef noodle shop in Kaohsiung 高雄市, where the sunshine filled the open-air restaurant, time stopped and all demands and expectations disappeared. It was just my father and his little girl each eating a big bowl of noodle soup in silence. This is the shredded pork with pickled cabbage noodle soup 榨菜肉絲麵, my daughter and her father’s favorite noodle soup. I was there in the country of my birth, after being away for decades, eating a big bowl of noodle soup with my little girl in silence. In that broth, I saw the reclaiming of my heritage, the passing of my heritage to her, and the intricate relationship between a mother and a child who takes after her father. 13 Flavors is popular. Restaurant is open only at night which is a rare occurrence in Taipei; Taiwanese people have a very strong work ethic and often work around the clock. When we walked by, the restaurant was always filled with diners. 13 Flavors certainly charged enough for two bowls of noodles. The beef was $190 TWD or a little more than $6 USD. The pork was $100 TWD or a little more than $3 USD. 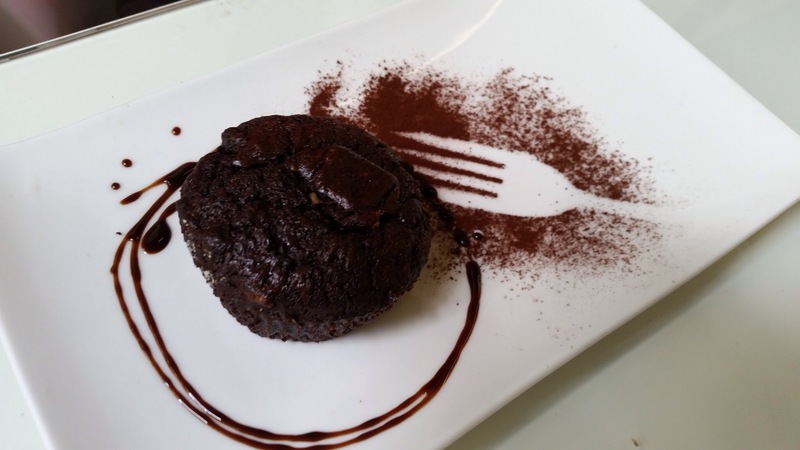 How was the food, you may ask, since this is the primary focus of this blog? It was okay, I believe. The broth for the beef was decent but not special. My daughter gave the pork broth a thumbs up. I would say that the noodles were pedestrian for this level of restaurant and service – better than noodles from the street stands and the night markets yet they were nothing special. But I strongly suspect that I am biased in this view. The memories of childhood and the philosophical question of whether we repeat the mistakes of our parents are what dominated in my thoughts. 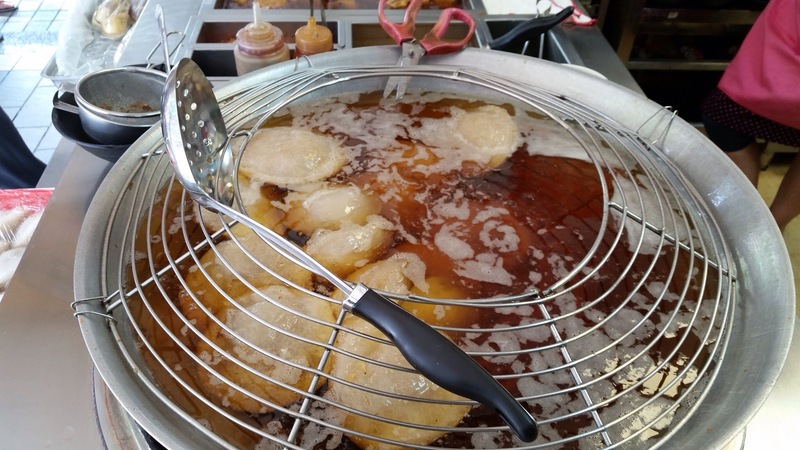 Wanderlust Taiwan- 玉欣珍’s Ba Wan 員林肉圓, A Mega-Dumpling for a Buck 50! This meal took place on a lazy Saturday afternoon after swimming with a friend. Between my friend and I, we have three multiethnic children. As we walked through the streets of Taipei, we naturally got looks with the girls speaking loudly in English. 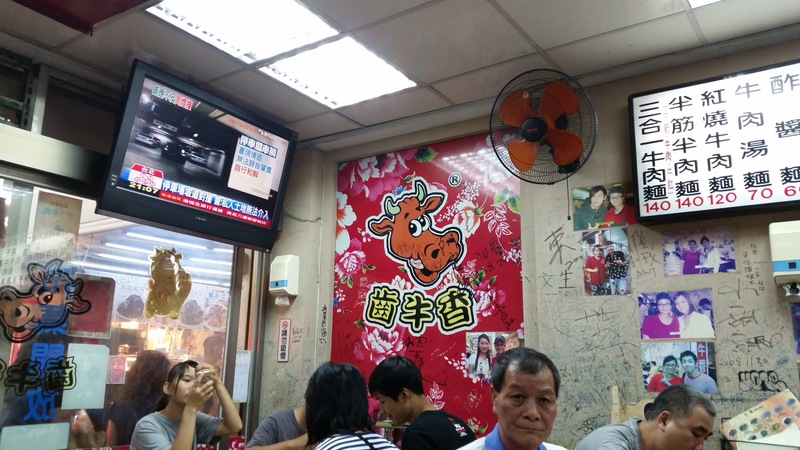 My friend picked this restaurant 玉欣珍 because there is usually a long line during lunch hour and they are famous for their giant size meat dumpling that is called Ba Wan, 肉圓. 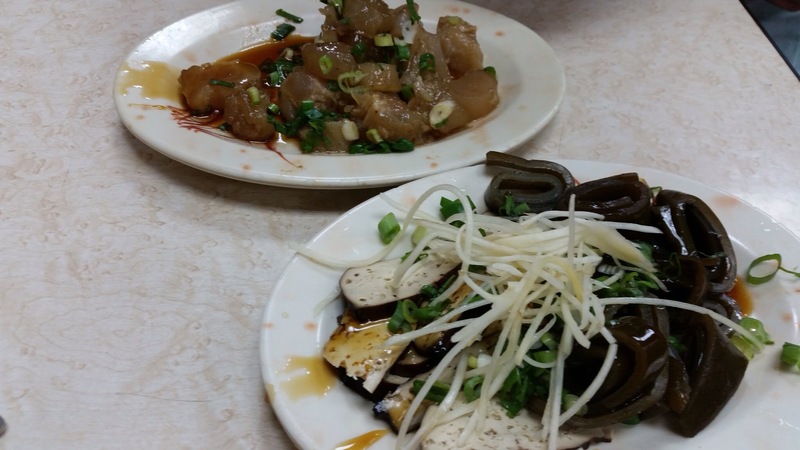 See CNN’s “40 Taiwanese Food We Can’t Live Without.” Ba wan is number 12. I have later come to learn that 玉欣珍 serves traditional Taiwanese gourmet dishes. Ba Wan is just one of them. This little place is presumably named after the owner, 玉欣珍. 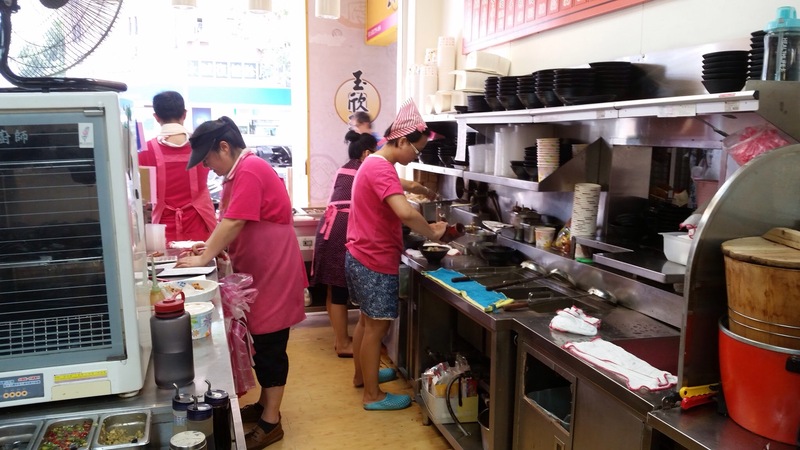 Only women wearing pink shirts work here in this tiny kitchen/store front. Ba Wan 肉圓: here is what CNN had to say “Ba wan is a Taiwanese mega-dumpling. Made with a dough of rice flour, corn starch and sweet potato starch, it looks almost translucent after cooking. 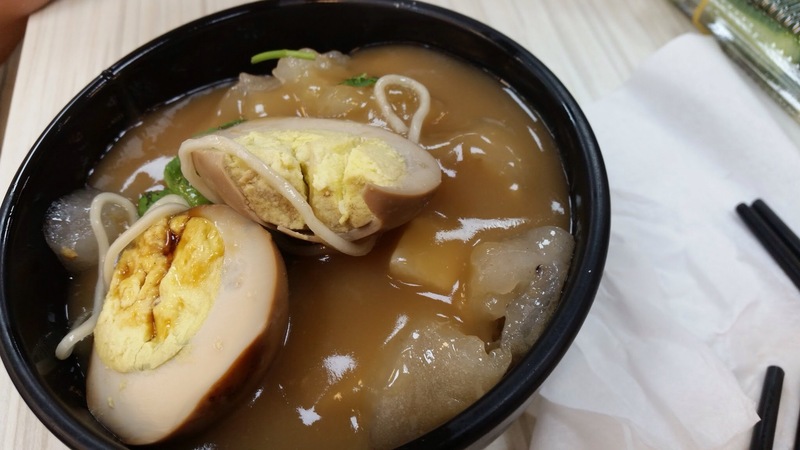 Pork, veggies and sometimes eggs are stuffed inside and gravy poured on top.” Ba Wan served in a bowl, with a stewed-in-soy-sauce egg. The texture of the dumpling is more elastic than the gnocchi, chewy but bouncy. When you break into the dumpling, all the gooey umami-infused juice come flowing out and mixed with the egg. This is heaven in a bowl for $1.5 USD or $45TWD. This bowl of noodles was excellent. 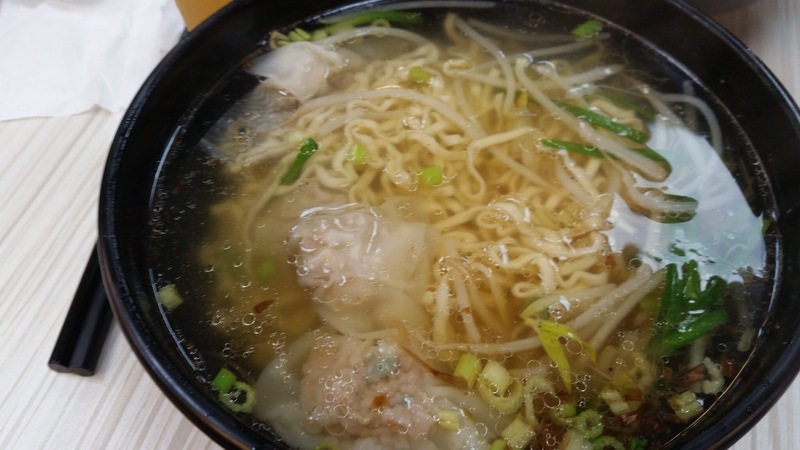 Regular egg noodles with wontons, in clear broth, garnished by fresh bean sprouts and green onions. Without the wontons. Plain noodles. 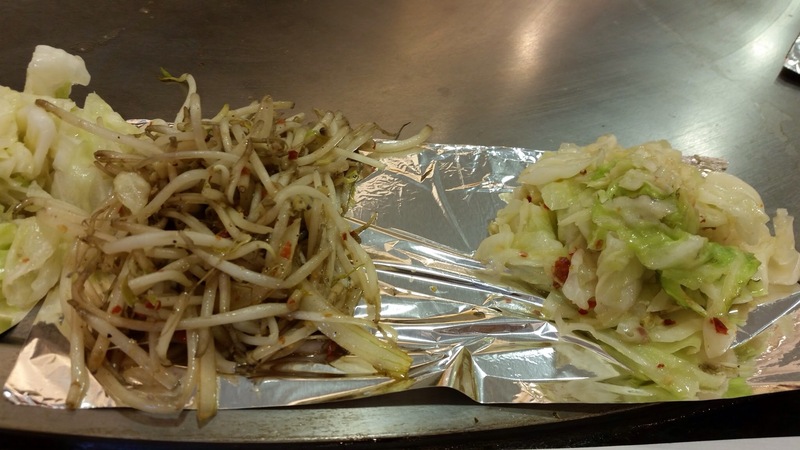 Parboiled bean sprout leaves with meat sauce. This meal of traditional Taiwanese gourmet food for 2 adults and 3 children cost about $12 USD. It was fulfilling and delicious but with no ambience. Five of us huddled around a tiny table but we loved it. The girls were happy with their friends and the food. What more could I ask for? 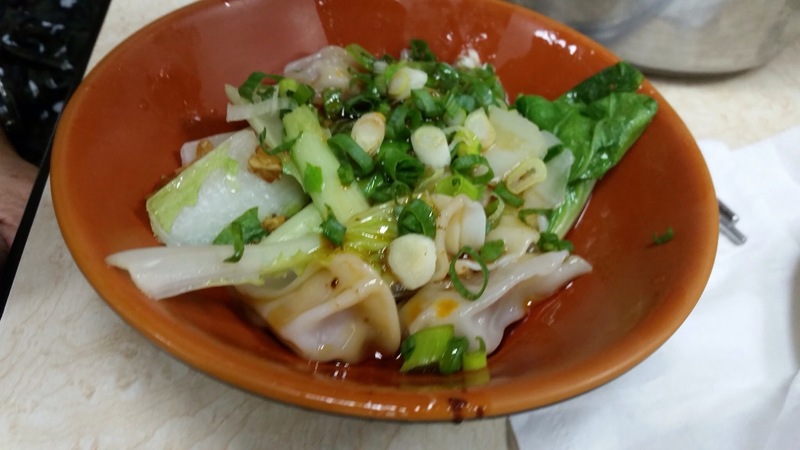 Posted on October 3, 2015 October 3, 2015 Categories Asian, Cuisines, Food, My Travels, Small eats, Taiwan, TaiwaneseTags 40 Taiwanese Food We Can't Live Without, CNN Taiwanese Food, 玉欣珍, dumplings, 肉圓, Gourmet Taiwanese food, Peilin Corbanese Wanderlust, Traditional Taiwanese Food, Wanderlust Taiwan, 員林肉圓Leave a comment on Wanderlust Taiwan- 玉欣珍’s Ba Wan 員林肉圓, A Mega-Dumpling for a Buck 50! 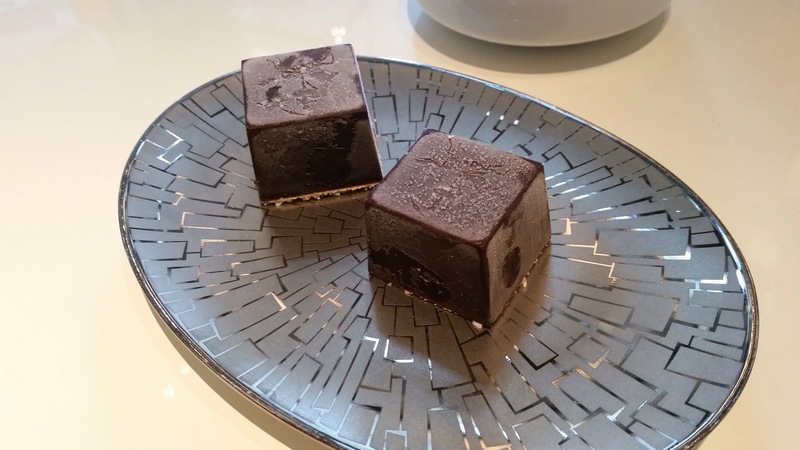 I went from the French bistro, Le Pain Grille, to Café Un Deux Trois in the luxurious 5-star Mandarin Oriental Hotel in Taipei. Let’s just say the price tripled if not quadrupled in the Mandarin Oriental. I did not necessarily get better tasting food; I got better presented food, a beautiful surrounding and a more elite group of diners. Maybe even complimentary parking. It’s definitely NYC priced but with more elbow space. I am sure glad that I put on a dress vs. showing up in my running shorts and a tank top, my usual attire in the hot summer days. Room temperature butter. Good bread. 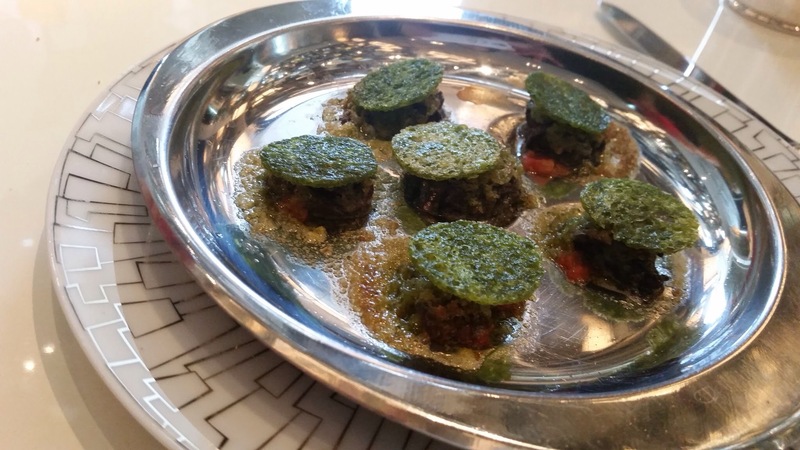 L’ESCARGOT PETIT-GRIS BAKED SNAILS (6 pieces)馬爹拉甜酒奶油烤田螺(六顆) $450NT or $15USD parsley butter and condiments, deglazed with madeira. This was terrible. My ex French mother-in-law does it better. How was it terrible? The escargot were over-baked, too soft and too much butter was used. 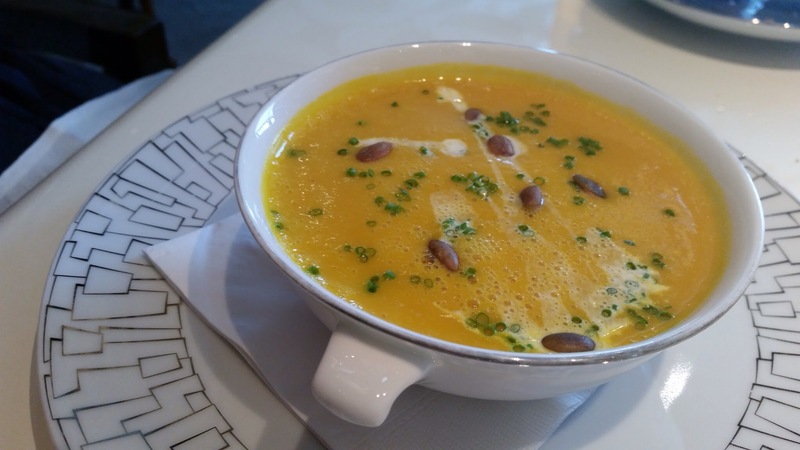 LA SOUPE DU JOUR | SEASONAL DAILY SOUP | 主廚例湯. This was the pumpkin and carrot soup. My friend enjoyed it. 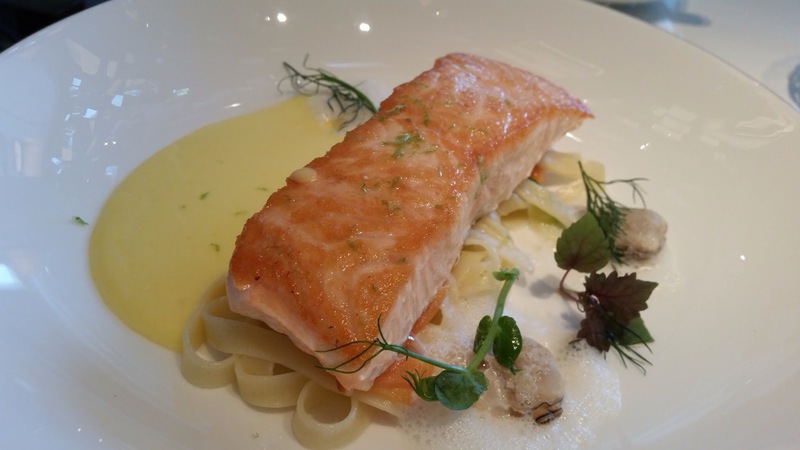 FILET DE SAUMON | SALMON FILLET | 鮭魚佐柚香醬搭鮮蔬扁麵及蛤蜊 Vegetable tagliatelle, carrots, zucchini, clams, yuzu hollandaise LA SAINT-JACQUES | PAN SEARED SCALLOPS 香煎干貝佐薩丁尼亞麵疙瘩 $720NT or $24USD sweet turnip, fregola, spicy emulsion. As expected! No better and no worse. 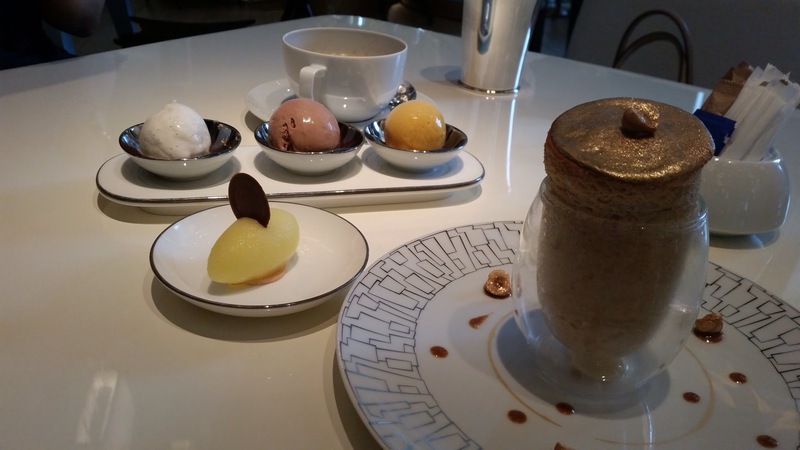 LE SOUFFLÉ NOISETTE | HAZELNUT SOUFFLE 榛果舒芙蕾佐柚子冰沙 $350NT or $13USD served with yuzu sorbet. This was fun. It had good flakes! The soufflé was ok but the sorbet was better. 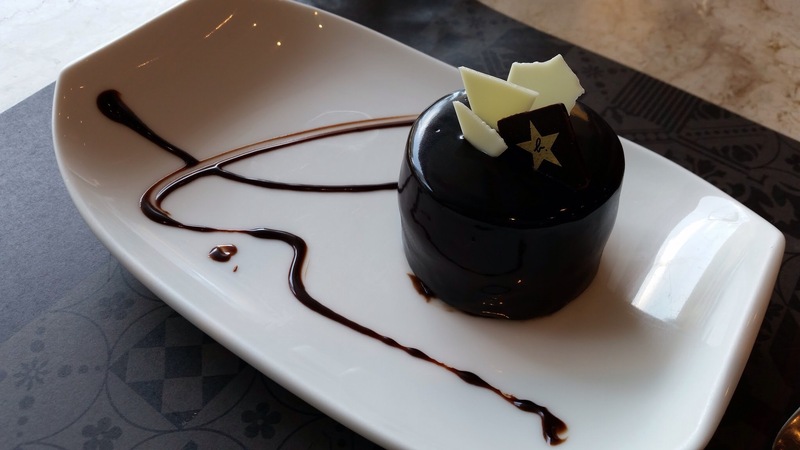 GRAND CRU CHOCOLAT THÉ | CHOCOLATE TEA GRAND CRU 茶香濃情巧克力 $350NT or $13USD red fruit tea infusion, chocolate cream, fruit confit. This was excellent! The tea and chocolate combination was tasty. I liked it especially because it was served chilled. 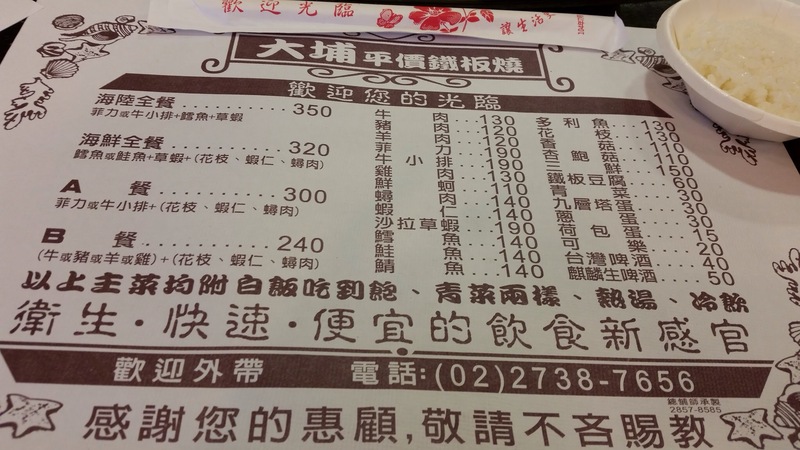 My friend ordered from the set lunch menu which ranged from $950NT to $1600NT ($36USD to $54USD). I went a la cart and ended up with around $73USD. The food was ok for this price but the decor was elegant and comfortable. The service was outstanding… They anticipated every need and were never intrusive. They jumped up when I knocked over my glass of water. But the best part of the entire experience was the company, my friend 何郁瑾. Thank you for listening. There is a large population of foreign workers in Taiwan. There are the manual labor types who usually come from the South East Asian countries like the Philippines, Malaysia, Vietnam and Thailand. See my post on the Mail Order bride who became a beautician. There are the professional types (the expats) who come from around the world to capitalize on the Taiwanese technology, highly developed infrastructures, language and associations to China. I met a few people like that on this trip. They are from the US, Holland, Colombia, Canada, Switzerland,and the UK. 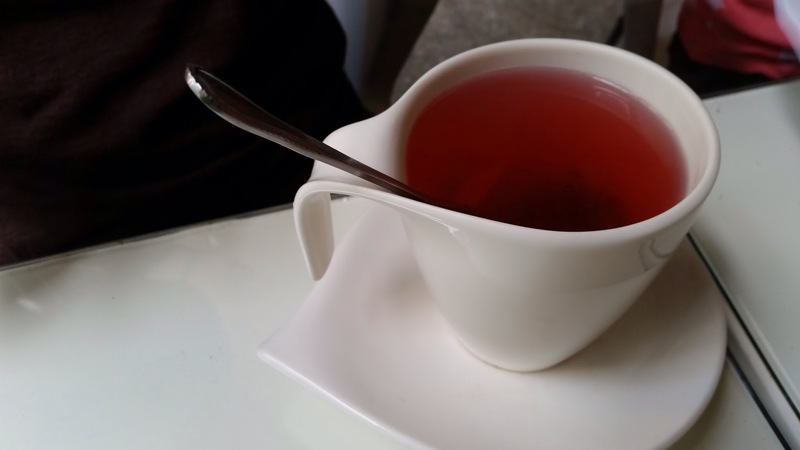 What better way to get to know someone than to bond over a meal or tea? 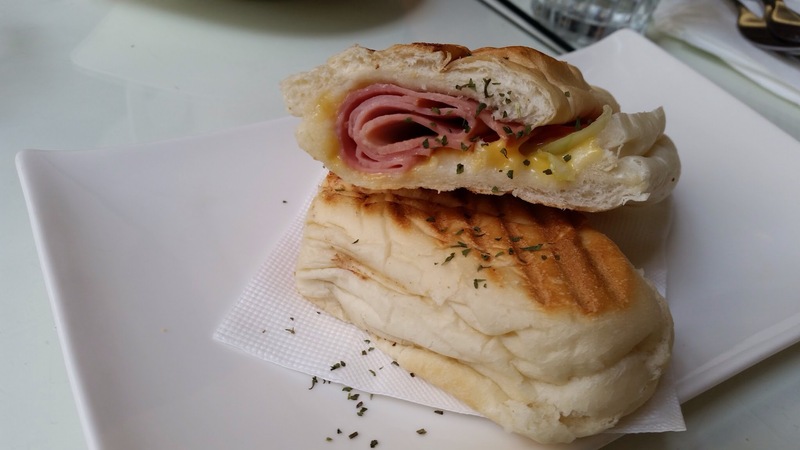 One of Le Pain Grille’s restaurants, Agnès b. Rue de Marseille, is located near Taipei 101 where almost everything is in English and the food is geared toward tourists and expats. Ratatouille Provençal $290NT or $10USD This is a decadent chocolate dessert which if I recall correctly is dark and not so sweet, exactly the way the French dessert would be. Beautiful and smooth. Unfortunately, it’s not on their online menu. This is their pineapple flavored tea which is recommended by my expat friend. It was delicious but not my cup of tea. I don’t think pineapple and tea should be combined. 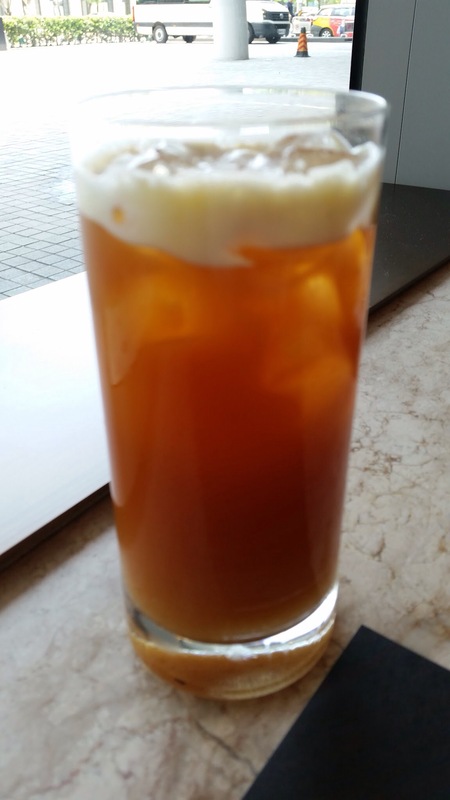 Pineapple in Taiwan is so full with flavor and sweetness and therefore takes away the bitterness of the tea. I don’t like it. For me, it should either be tropical fruit juice or tea. But not combined. 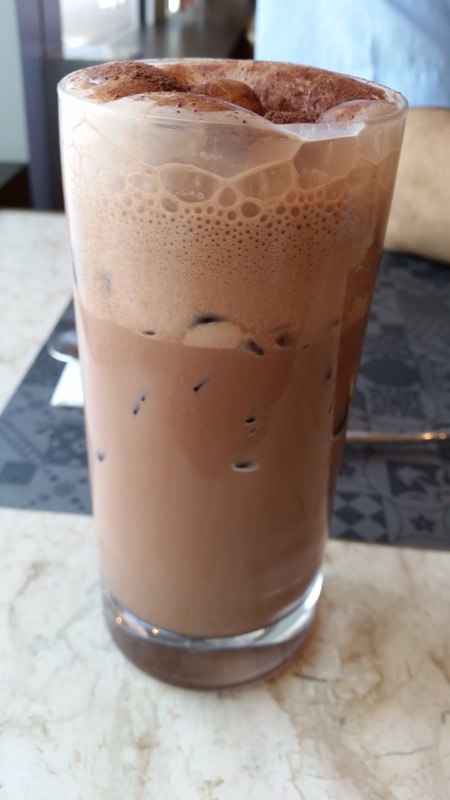 Staying true to the French way, Le Pain Grille has a long list of chocolate drinks. Really really yummy. Never too sweet and dark. Would I return? 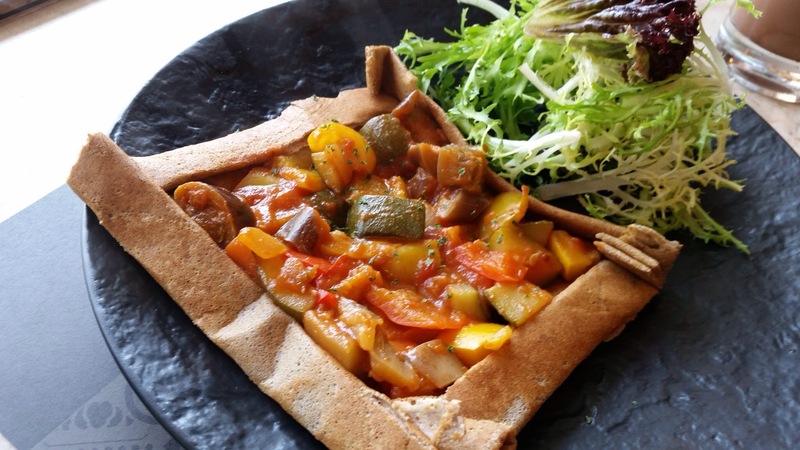 Maybe, if I live in Taipei for many months and crave French food. It’s decent. 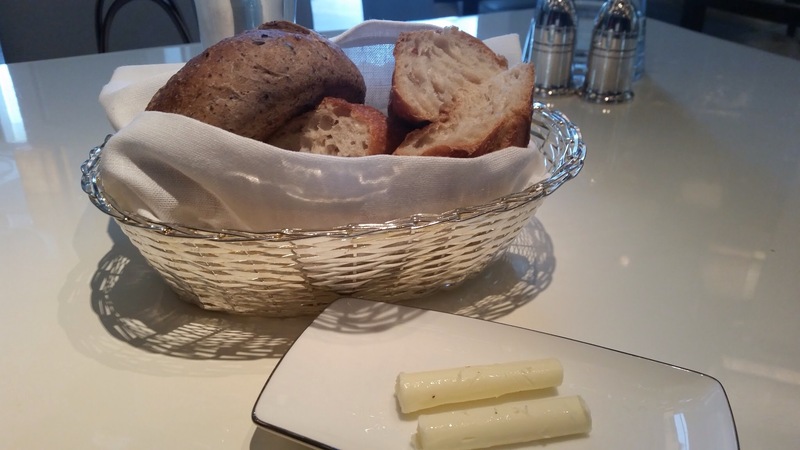 But the set up is weird… They charge for bread and you can’t ask or tap water. That’s not the worst thing… The worst is that they explain it to you like you are three and explain it multiple times.